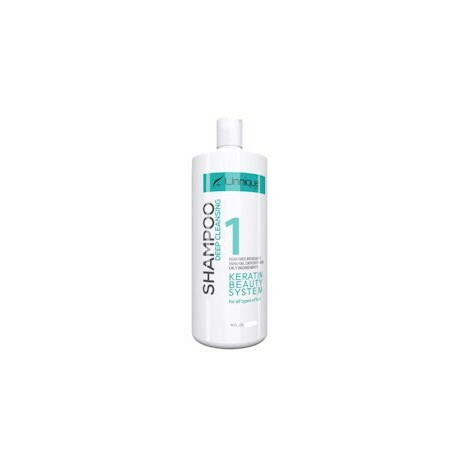 Unnique Advance Shampoo 16 oz. (Step 1) - Just Beauty Products, Inc. 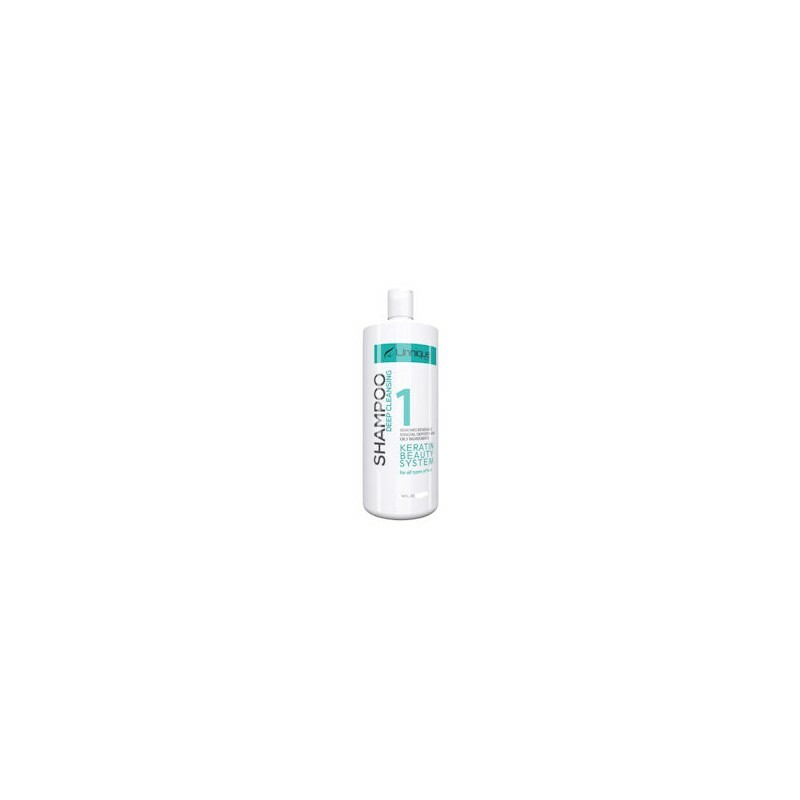 Developed to completely remove residuals from cosmetics, chloride, mineral deposits and oily ingredients, getting the hair ready for the application of Unnique Advance Step 2 - Treatment. 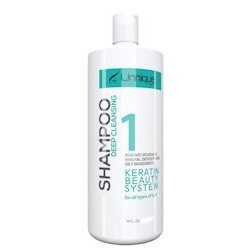 How to use: Apply the Unnique Advance Shamnpoo two or three times with warm water, and gently massage the scalp with your fingertips, letting the shampoo work for a few minutes. Rinse thoroughly . Dry 70% of the hair. At this stage it is not necessary to brush, just to untangle the strands. Divide hair in for parts. Apply the Unnique Advance Treatment as directed (see instructions on the Advance Treatment bottle). Ingredients: Water, Sodium Laureth Sulfate, Cocamide DEA, Cocamidopropylamine Oxide, Cocamidopropyl Betaine, Ethylene Glycol Monostearate, Fragrance, Sodium Chloride, Phenoxyethanol, Caprylyl Glycol, Chlorphenesin, Tetrasodium EDTA. Precautions: Avoid contactd with eyes and skin. Do not use it on children under 12. Keep the product in a fresh and ventilated place. Keep the productd away from the sunlight, heat and humidity. Keep the product away from children.